One woman was hurt when a school bus with students on board rear ended a dump truck on Interstate 64 in Newport News. 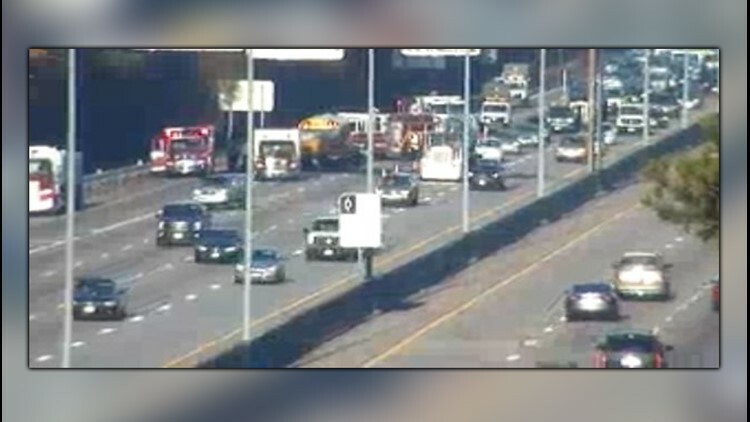 NEWPORT NEWS, Va. (WVEC) — Virginia State Police is investigating an accident involving a school bus on Interstate 64 in Newport News. The accident occurred around 8:11 a.m. near Hampton Roads Center Parkway, PIO Sgt. Michelle Anaya said. The bus rear ended a dump truck, she said. A woman was taken to a local hospital. There were three students on the bus but no one was injured, Anaya said. The students are part of a work program and were heading to local businesses where they are employed, she said. Newport News schools is sending another bus to pick up the kids.